A Novice's Guide to Tracking: Part 2 - the4pointer.com | Real Hunts. Unreal Stories. Yesterday Colin shared with us what he has learned about tracking over the years (click here to read yesterday’s post). In Part two he shares a story that explains why it excites him so much. Enjoy the read! It all started that first year at camp on Newark Pond. At about 10 AM, on a cold sunny day with 3-4” of fresh powdery snow I picked up a track of what appeared to be a buck and a doe on a mission. They had been jumped out of the swamp we hunt by another guy in our hunting party so when I picked the tracks up and they were basically headed single file towards a gap between two small mountain peaks. The larger of the two was a nice track, but I wasn’t 100% sure it was a buck. After following the tracks for approximately half a mile they turned directly uphill and led me to a rub on a 4-5” diameter tree. At that point I knew I was not only tracking a buck, but a pretty good one at that. The tracks once again turned northeast and headed for the gap between the two peaks. At this point my goal was to move fast and catch up to them. I knew with the buck being preoccupied with his doe he might slip up and give me a chance for a shot. I followed them for a mile or so around the backside of the larger of the two peaks when I noticed the tracks seemed to become more playful and less directed, walking all around in a patch of taller dead grass before backtracking and heading straight up a steep embankment. This is where I made my critical error. Rather than deducing that they had been feeding and were heading up to a good vantage point to lay down so they could watch their back track (which they were), I had assumed they knew they were being followed and had backtracked to try to lose me. So I went tearing up the embankment to find 2 very fresh beds, one with visible antler marks, only 75yards from their feeding site. This was where this buck began to show just how clever he was. When they bounded away from their beds they split up and because he had bounded off through her bed it took me about 30 minutes to figure out which track to follow. Trying to size a running track on a hillside is less than ideal. Luckily I picked the right one and the buck then took me on a 2-3 mile adventure. We went through incredibly thick softwoods, then would run across any open hardwoods and turn around and wait for me to appear to see if I was still following him – then he’d take off again. Matt and I were communicating on our radios when we came to a stream, both crossing at the same time. Then I got a call about 15 minutes later “Hey Colin…uh…I have no idea where this track went. I have a hoof print directly on the edge of the brook going in but nothing on the other side and I’ve walked 100 yards up and down the brook on both sides”. Absolutely incredible! This deer was a ghost. The buck had jumped in the brook and went more than 100 yards up/down the brook in an effort to lose us. We started making circles around the area and were able to find the track again in about a half hour. The buck then led us on a cat and mouse game through very thick softwoods in an area that we were at a huge disadvantage. At about 3:30 we had to break off the track. Considering it was back over a mountain and 7 miles away a trip back to the truck was out of the question. Instead we took off downhill towards another road that would make for an easier, but longer, hike back to camp. Luckily as we got down to the landing at the end of the road the headlights of a familiar pickup came into view. Our dads, having lost radio contact with us had assumed we would end up on the other side of the mountain. The day was over, I had hiked over 6 miles, and never caught a glimpse of a deer…but I was never more excited about deer hunting in my life. This year my target is “Ol’ fork hoof”. 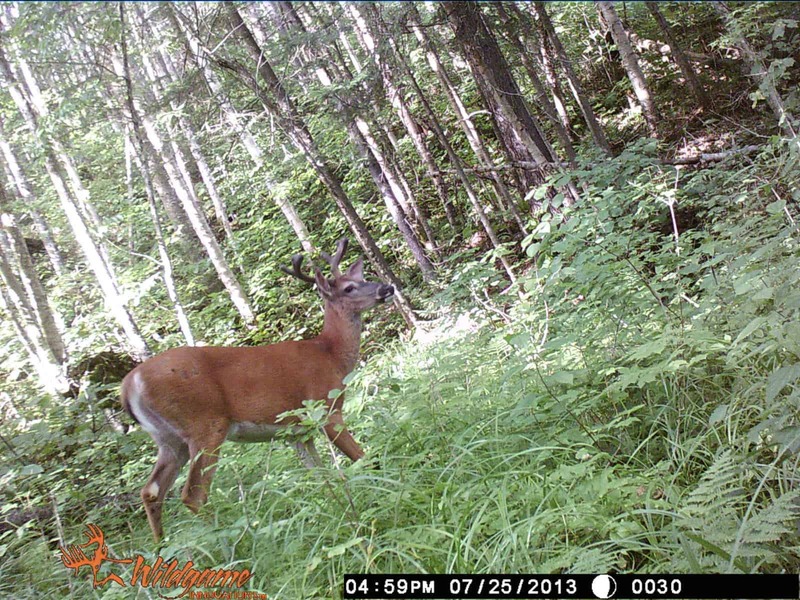 A buck I have never seen but have tracked at some point each of the past 2 years. I named him that because there is a very apparent injury to his left rear hoof that causes the hoof fork out. Two years ago I could easily fit a 30-06 shell in his track. 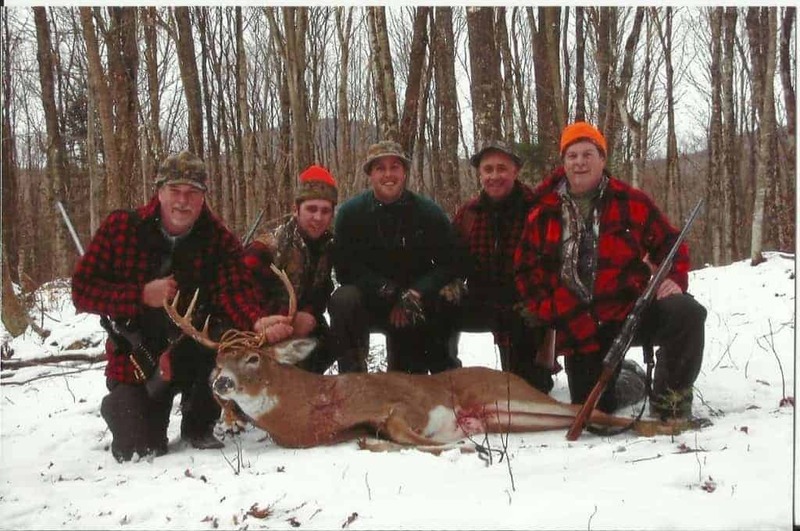 I know he was still alive during muzzleloader season last year, and I’m reasonably sure he made it through last winter, considering he had made it through a few before…so come Nov 14, my sights will be set squarely on Ol’ Fork hoof! One of Colin’s Trail camera pictures. Is this ole Fork Hoof?! Thanks for the great article and story Colin! If you have a story or article to share please contact me by clicking here: Share. Your. Story. If you want subscribe to the blog to receive email updates you can do so here: Subscribe.